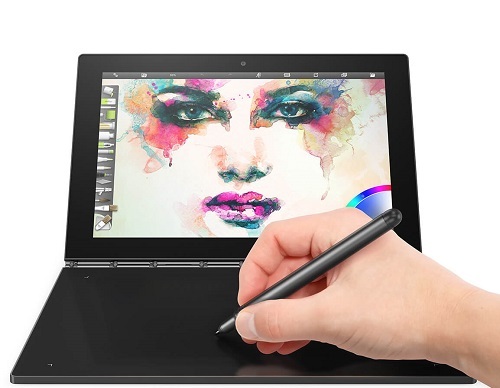 The Lenovo Yoga Book X90 2 in 1 Laptop combines form and function in one sleek, convertible design. With a unique 360 degrees hinge embedded into its design, this Lenovo laptop tablet offers you four distinctive ways to work and play. It is extraordinarily adaptable. The unique build of the laptop allows the screen to flip around 360 degrees, letting you select the mode you use based on what you choose to do. Powered by an Intel Atom x5 Z8550 Quad Core processor, this Lenovo X90 tablet laptop provides necessary juice to run multiple applications without compromising on the system’s responsiveness. The 4GB RAM module further enhances this capability and lets you browse the web seamlessly, even when multiple windows are open in the browser. Experience faster boot ups and speedy app executions, thanks to the 64GB module that comes integrated into this Lenovo X90 2 in 1 laptop tablet. Since it doesn’t have any moving components, the eMMC storage draws less power, generates no noise or heat, and is more reliable than conventional magnetic hard drives. The 10.1inch display produces brilliant visual quality for gaming and multimedia by rendering FHD resolution. The IPS technology of the screen offers better color reproduction and excellent viewing angles. Lenovo X90 convertible laptop runs on Android 6.0 OS that lets you run multiple apps at once and drag and drop text from one app to another. Only 0.16 in (4.05 mm) thin when opened, weighing just 1.5 lbs (690 g), with up to 13 hours of use on a single charge, the Yoga Book allows you to use your creativity wherever you are. 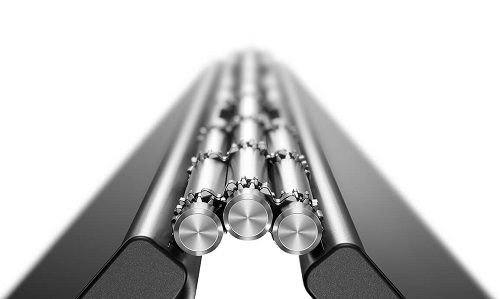 Its awesome-looking design is crafted with a premium high-quality alloy of Aluminum and Magnesium. Make no mistake – Yoga Book has what it takes under the hood to keep up with the demands of your busy life.